When it comes to dentistry, there is not just one single dentist that handles all of the different dental problems that may arise. In fact, there are several dental specialists that specialize in different areas of the mouth, dental conditions, and more. Below, we will take a look at some of the different types of dentists to help you better understand why you may be referred to a new dental provider when a dental condition arises. A general dentist is best known as your primary dental care provider and is the dentist you visit when you go in for a cleaning or x-rays. This type of dentist will diagnose dental conditions, treat minor conditions, and manage your overall oral health. You can expect your general dentist to handle simple to moderate dental procedures that include root canals, extractions, gum care, bridges, crowns, and fillings. An endodontist is a dental specialist that cares for the pulp and nerve of a patient’s tooth. This specialist performs root canal procedures on patients, and is likely a general dentist that has received extra training. 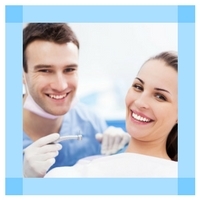 For complicated surgical root procedures, you would see an endodontist. An orthodontist is a dentist that specializes in the prevention, diagnosis, and treatment of dental problems that affect the teeth, the jaw, and their structures. For example, an orthodontist will help straighten your teeth and identify when braces are needed. This dentist specializes in corrective retainers and appliances to better the patient’s bite and smile. A pediatric dentist specializes in dental care for children. 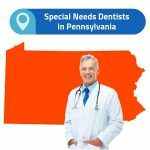 This dentist is similar to a general dentist, but only focuses on children’s teeth and can clean, diagnose, and treat dental problems in young infants as well. Pediatric dentists have an additional two years of dental training in which they learn more about how the teeth develop. This type of dentist is responsible for any type of surgeries that involve the mouth, jaw, or face. Typically, you will see an oral and maxillofacial surgeon if you have suffered trauma to your face, jaw, or mouth. 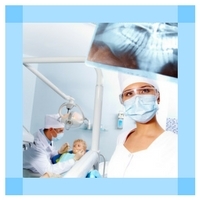 These dentists also treat patients who are suffering from cysts or tumors. If you wish to receive dental implants, you would visit this dental specialist for the placement of the posts in your jaw. Oral and maxillofacial surgeons receive an additional four to eight years of training above and beyond traditional dental school. A periodontist specializes in the prevention, diagnosis, and treatment of diseases that affect the soft tissues within the mouth, including the bones and gums. This dentist would diagnose and treat both gingivitis and periodontitis. A prosthodontist specializes in the replacement of missing teeth or the repair of a patient’s natural teeth. This specialist will make use of caps and crowns to correct any areas of concern within the patient’s mouth. A prosthodontist is also involved in the dental implant process and can work with patients who experience any type of head and neck deformities. An oral pathologist is a specialist who studies the different causes of diseases that occur in the mouth and those diseases that change the jaw, lip, teeth, and cheek structures. These specialists will often biopsy areas of concern and have them tested to determine the underlying disease or condition. It can be difficult to determine what type of dentist you need to visit, especially since there are many different specialities that exist. Some patients may think they need to visit an endodontist when they actually need to see an orthodontist. Below, you will find a brief overview of the different types of dental specialities and what types of conditions they treat. Your general dentist is your go-to dentist for most all of the routine procedures you will have performed to include dental cleanings and checkups, screenings for oral diseases, sealants, root canals, fillings, and crowns. You would visit an endodontist when you experience problems with the inner portion or root of your tooth. This dentist performs root canals, refills the nerve canal, removes infected tissues from within the tooth, and works on the inner portion of the tooth. You would visit an orthodontist when you need to have your bite or facial balance checked. 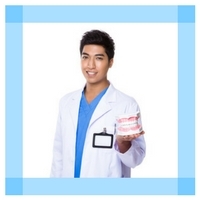 This dentist can provide you with braces, retainers, and dental appliances. You may receive a referral to an oral and maxillofacial surgeon if you have suffered facial injuries, need to have your wisdom teeth removed, have a jaw disorder, need reconstructive surgery, or you want to have dental implants placed. You will receive a referral to see a periodontist when you have any type of disease in the soft tissues of your mouth, including periodontitis and gingivitis. This type of dentist is just like a general dentist, but handles pediatric patients. Your children will see a pediatric dentist for all of their cleanings and dental work. You will be referred to a prosthodontist when you need dentures, replacement implants, bridges, crowns, and similar. There are two types of dentists that handle dental implants and that includes prosthodontists and oral and maxillofacial surgeons. Oral and maxillofacial surgeons are responsible for placing the dental implants into your jaw and prosthodontists are responsible for replacement implants and the fitting of the crowns on top of the implants. What kind of dentist does root canals? An endodontist is responsible for performing root canals on patients. Your endodontist is able to diagnose and treat any problems that arise within the tooth to include the pulp, nerve, and root of the tooth. What kind of dentist pulls wisdom teeth? An oral and maxillofacial surgeon is responsible for extracting wisdom teeth from a patient’s mouth. What kind of dentist use natural techniques? 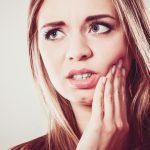 A holistic dentist uses natural techniques to diagnose and treat patients who have dental disorders. What kind of dentist does braces for kids? An orthodontist is responsible for placing braces on children. 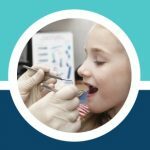 Your child’s pediatric dentist will refer your child to an orthodontist should your child show signs that he or she may need some type of orthodontic intervention. What kind of dentist can treat a gum disease? A periodontist is responsible for treating all diseases that arise within the soft tissues of your mouth to include the gums and bones. This dentist specializes in the treatment of both gingivitis and periodontitis. There are many different types of dentists in the US and each one serves its own purpose, but all of the dental specialities work together to provide you with a beautiful and healthy smile. 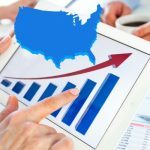 Emergency Dentists USA is able to provide you with a list of different types of dentists in your area that you can see. Our website is designed to allow you to search for the exact dental specialty you need. Finding a dental specialty has never been easier! If you are unsure of what type of dentist you need to see, speak with your general dentist, as he or she can provide you with a referral to the proper specialist based on your needs.